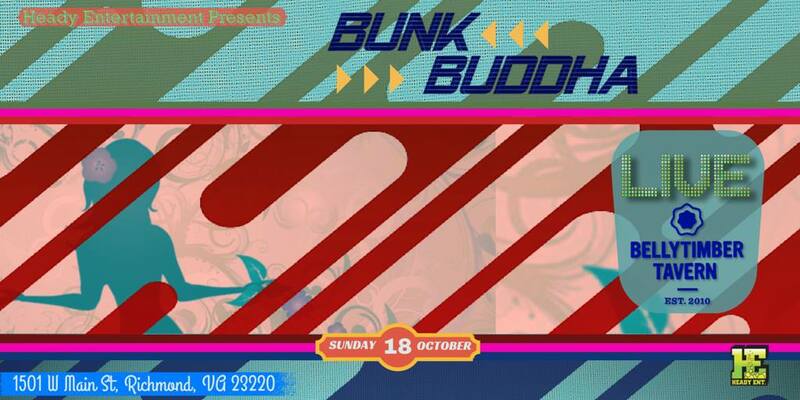 The Baltimore trio that is Bunk Buddha has truly been making some waves as of late, around town and beyond. Starting as a solo project and only just debuting as a band this past June, the band’s incorporation of live instrumentation and electronic aspects has matured exponentially, resulting in epic grooves, unforgettable hooks and funky beats. After a month long residency at Baltimore’s beloved venue, The 8×10, the band has been spreading its wings outside of the area, including a trip down to Tennessee, followed by Atlanta and back up to Asheville. Consisting of Scott Donovan (electronics), Mike Chappell (guitar, bass) and Corey King (drums), Bunk Buddha released the five-track Leaves EP on October 7, 2015 in advance of an adventurous Fall 2015. The title track, “Leaves,” is a progressive tune with a deep groove. The mesmerizing hook grips and grabs you at every turn, even teasing the listener at some points. “Leaves” is the kind of track that can invoke different emotions depending on the context or situation. If played at low volumes, it could be a nice song for relaxation. If played loudly in headphones, it could entrance listeners and send them on an internal journey. Finally, if played live and loud, everyone in the room would be on their feet and getting’ down! “Grand Eyes” brings out the dance party atmosphere that Bunk Buddha is so well known for in their hometown of Baltimore. After a funky guitar intro, the tune includes some Middle Eastern sounding strings, giving it a mystical, oriental type of feel. “Aggro Crag” continues the funk with a gut-wrenching bass line. This tune also shows quite a bit of the band’s maturation, as they not only utilize the spaces in between the notes, but plan for them to be a significant aspect of the song. A ragin’ guitar solo permeates the ending of the track, leading the funk train’s exit from the EP. An interesting, quirky intro breaks into a powerful hip hop style beat to kick off “If We Were At Burning Man.” The deep, rumbling bass lays the framework for this one, while hypnotic vocals and jazzy guitar chords add flavor and texture throughout the song. Finally, “Counting Circles” closes out the EP with a tight trap beat, augmented by frequent, trippy synth tones. I, for one, cannot wait to see where these guys take their music next! The Leaves EP shows a level of passion and musicality that makes my spine tingle and urges me to listen again and again. Still less than four months into their tenure together, these guys definitely have something special going, and this five-track EP represents a strong base to begin their voyage into dance music. Next, the band takes over Richmond, VA with a Sunday Funday not to be missed. Bellytimber Tavern will host the trio tomorrow, October 18, and it is sure to be a rager! Take a listen to the full EP below! This entry was posted in Album Reviews, Heady Entertainment and tagged Bass, Bunk Buddha, Dance, Dance Music, EP, Leaves EP, Review.